TAMPA, FL—After reviewing details of the Mar. 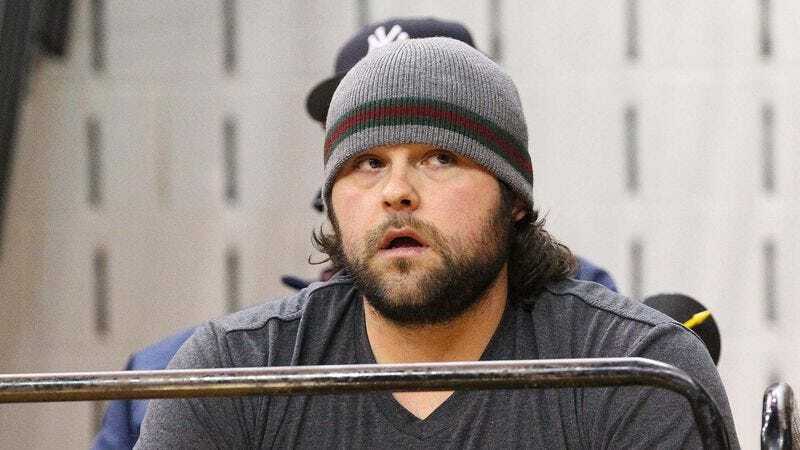 22 accident in which Yankees pitcher Joba Chamberlain suffered a dislocated ankle while playing with his 5-year-old son, Karter, Major League Baseball announced Thursday it had launched an investigation into the oversight that allowed the 6-foot-2 right-hander to have a child. "Unfortunately, we can find no language in any contract between Mr. Chamberlain and the Yankees or the MLB that restricts, discourages, or otherwise bars him from having a son," a statement from the league read in part. "Clearly this is an almost criminal oversight… While this does not relieve Chamberlain of his own responsibility in this matter, Major League Baseball deeply regrets its part in the incident and wishes to assure fans that steps are being taken to prevent this situation from ever arising again." There is currently no timetable for Chamberlain to resume pitching or parenting.